Starting out at Google was an exciting experience. On top of the job, the environment, the incredibly intelligent co-workers, and so on and so forth, I was also put in the opportunity to break the mold of technology that I had previously known. One of my first tech purchases was the Google Chromecast. For a long time, I’d used an Apple TV in my home. I mean for a LONG time. I was one of the nerds that bought the first generation device in 2007. The big ugly gray one with a component output on the back because HDMI wasn’t there yet and a 3.5″ Hard Drive because streaming wasn’t there yet. I was an early adopter on that one. Apple has a great ecosystem, but if you step away from your idevice, you’re in trouble. That’s how Apple keeps people hooked in, even when their products make us furious. That doesn’t always happen, but any seller would be foolish if they didn’t want you to stay with their product. It was time for me to break away. So that’s what I decided to do. So what makes the Chromecast a unique device? It’s streaming only. At first, this seems off-putting. Likewise, what, you need a phone to use it? No remote? What is life? Fortunately, all of these little changes melt away after using the technology for a few evenings. Those weren’t holdups for us, but they can be annoying if you’re deeply rooted to either system. For long time Apple TV owner like me, my iTunes library remains untouchable for streaming without an Apple device. This is a lesson learned, but not in favor of sticking with iTunes so much as encouraging me to continue my switch. You see, my iTunes purchases are locked to an Apple TV, which means if I want to stream a show to different TVs, I need to buy multiple Apple TV boxes; one for each television. That isn’t a deal breaker, but those devices used to run $99 each, and now they’re up to $149. On the other hand, we have two Chromecast devices that ran just $35 each. So we could put 4 Chromecast devices in our house for the cost of 1 new Apple TV. So cost make sense, but am I just switching one walled garden for another? Not as much as you might think. Even if I decided to forego Android and switch back to Apple, I can still use the Google Play Movies & TV iOS app to stream my content to a Chromecast or Apple TV! My library would still be accessible, even if the Chromecast itself went away. I can even stream directly to my Xbox One! That’s something that Google and the Chromecast really hit on the mark. I want my digital library to be just like my physical library. I should be able to watch my content regardless of the hardware I use to do so. The more hardware supported, the more likely I can watch my content at a friend’s house on whatever device he or she owns, or the higher the chance that whatever tablet I have with me will be able to stream my show during my plane trip. TVs aside. It’s amazing to know that I can log into my google account on any PC or Macintosh and watch any of my content straight from a browser! One of my favorite things about the Chromecast is how it’s powered. The device can go to a wall plug if you want, or it can plug directly into a USB port. 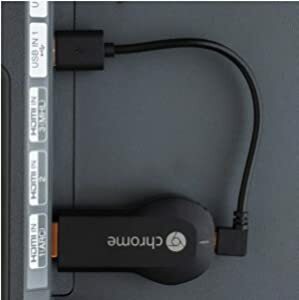 Most TVs on the market have at least one USB port these days, and if you opt for this connection you have a compact setup that can stay connected directly to the TV without additional wires! That’s a sentiment that started in 2013 with the Chromecast. 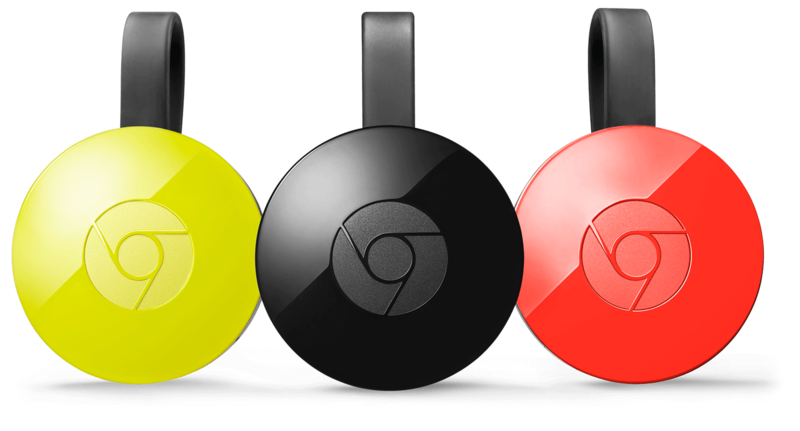 When you think of the Chromecast, you think of your phone or tablet. If you’re feeling like Netflix, with a single press of the cast button from the app, you’re on the TV. Want to pause and move to another room? No problem. Many people say, “I don’t like having my phone as the remote.” That’s a fair statement, but that’s a statement that will have to change with time. The hub of future televisions will be smartphone integration. So, one year later, would I recommend a Chromecast? Absolutely. The biggest holdup is the issue with Amazon streaming. Honestly, I hope that Amazon loosens up and allows us to get an Instant Video app on Android with Chromecast streaming. If not, since the Chromecast is so cheap, just grab the $39.99 Fire TV Stick and use that in another HDMI port for when you want to stream something from Amazon. For us, Amazon just got the boot. I love them as a retailer and I’ll always buy my Kindle books from their store, but paying $100/year for Prime only to be told that I have to further invest in their hardware to enjoy their Prime services seems a bit meh. It would be like being forced to pay for access to Kindle books, then still have to buy a Kindle. Not really a good formula. Meanwhile, I can rest easy knowing that my Google Play library will follow me across all major platforms, even if I end up back on iOS.